If you want to use the KANTATU tracks in any other way except KARAOKE, or the karaoke content other than in public spaces or private use, clik KANTATU TRACKS. 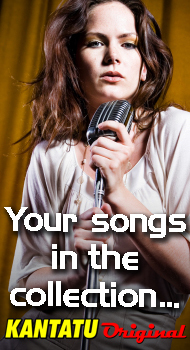 If you are an artist, composer, producer or author and you want your songs in KANTATU KARAOKE , please click ORIGINALS FROM ARTISTS. KANTATU ORIGINAL! In this collection the playbacks are the originals of the artists! It does not exist in physical format.